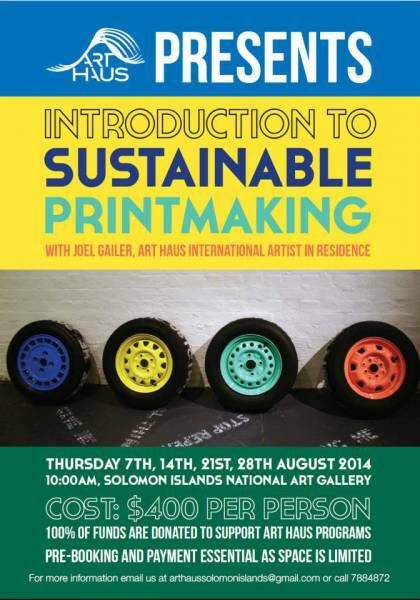 Print with Joel Gailer, first International Artist in Residence at Art Haus. This workshop series will consist of sustainable and practical printmaking techniques including the use of printing press and found materials. This is applicable to both first time printmakers and people with experience in printmaking wanting to learn new techniques. Joel Gailer is a printmaker from Melbourne and has exhibited his work throughout Australia. He holds a First Class Honours in Fine Art at Monash University, is currently lecturing in print media at RMIT (Royal Melbourne Institute of Technology) in Melbourne and conducting his PHD in printmaking.